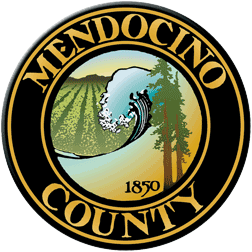 MENDOCINO Co., 3/13/19 — It's that time of year again — no not the time when flowers are blooming -- the time when Mendocino County is accepting applications for grand jurors. But what does that mean, and why would anyone do it? We went into this in great detail in an article last year — you can read a bunch of information about the history of grand juries, and what the responsibility entails. Here's the most important details, below. The press release with information about how to apply for this year's Grand Jury is below that; the deadline is April 26 and the application and details are also on this website. Do you want to get more involved in your county government — without the hassle of running for office? Are you concerned that the public needs to be paying closer attention to where exactly all those dollars from the county coffers are going, or whether the most recent ballot measures are actually being enforced? If these kinds of things keep you up at night, you might be a good fit to serve on Mendocino County's next grand jury. The Mendocino County Grand Jury consists of 19 members of the public, who "are empowered to investigate the operations of county, city and district governments; provide civil oversight of local government departments and agencies; and respond to citizen complaints." The term is for one year, and the jury members set their own meeting times and agendas while preparing their reports. In the past, reports by grand jury's have examined funding for the county's libraries, inefficiencies in the county's mental health services, family and children's health services, discrepancies in the county's election process, building and planning code requirements and more — and have led to changes in county's services. You can see some of the past reports here. Mendocino Voice article, April 24, 2018.